In August 2010, I couldn’t walk for long periods of time nor climb stairs without having great difficulty breathing. I had spent almost 10 years suffering from staggering Pancreas, Gall Bladder and Liver Issues. In 2009 a new crop of serious issues developed with Acute Vertigo and Vision Ailments. My face was always red with High Blood Pressure and my nights were spent choking from severe Acid Reflux which is known as GERD (white foam coming up through throat and out of the nostrils). I was also suffering from overwhelming mental depletion. I spent 20 years topping the scales at well over 200 pounds, which morphed into a weight of more than 260 pounds from 2005-2009. In April of 2010, I had a staggering scale reading of 283. 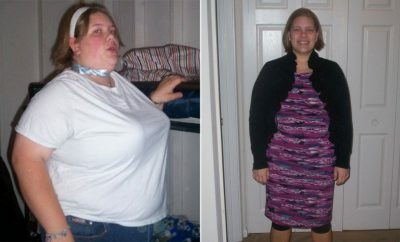 By August 2010, I was toppling the scales at almost 300 pounds. I was losing my will to live. I had lost every life desire and had given up on myself. I found myself on the boulevard of broken dreams with a heart that had been pulled through the eye of a needle. My health was staggering out of control and every organ; every fibre of me was aching and my body was beginning to react and back up. I knew that my body was about to quit. I’m a performer by profession and teach musical theatre and even THAT had become a chore and a source of stress. I’m a single mom of a teenage son, (BJ) who is also a performer. BJ had resigned himself to the fact that he was going to live his adult life without his mom. We had been told by many health professionals that I was a walking ticking time bomb and NOTHING was hitting home, not even the completely demoralizing realization that my ability to maintain daily hygiene was being compromised by my size and my obvious declining health. 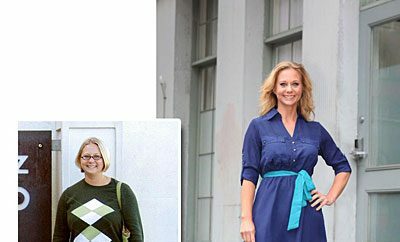 So…on August 27th, 2010 as I rose from the ashes; I started on a health and wellness journey which has resulted in me turning my entire existence around. I began walking, I began eating healthy and I began finding my “weigh” back to ME. 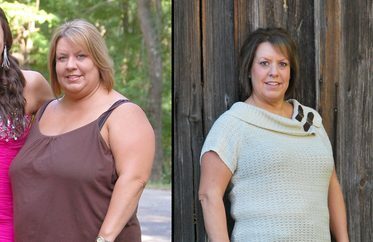 I am now down 150 pounds through back to basics no-nonsense healthy eating and exercise. No gimmicks, no fancy pills, no shakes, no surgery, no medical clinics, no medical intervention, no quick-fix remedies, just plain old fashioned common sense Healthy Eating and Exercise. I have done this 100% ON MY OWN. Simply; I Put Down The Fork & Got Moving!!!! There’s no secret potion or remedy to losing weight and keeping it off effectively. I can’t emphasize this enough, it’s REALLY EASY. It’s so simple…in fact it’s probably the easiest task I’ve ever accomplished. It was a no brainer. Healthy Eating, Rational Thinking, Exercise, Lifestyle Change, Prayer, Remove the Toxic Damages, Eliminate the Negativity, Invite Positive Energy, Experiment with Recipes, Immersion in Healthy Food Education, Read, Journal, Blog, Surf the Web for Information and a perhaps the most prolific; a100% narcissistic commitment to ME!!! I had to adopt a total selfish ego enhanced mindset that this is about ME and nobody else. It was going to take a full on commitment of TIME. 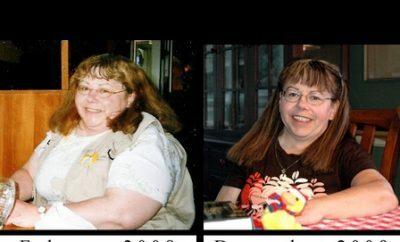 It took me DECADES to get to where I was in August 2010; and I knew full well that it was going to take TWO YEARS to get the weight off safely and healthily. I was faced with the thought of a 24 month battle. THAT HAD TO CHANGE… I had to change that thought process IMMEDIATELY. Resetting my brain to stop calling it a battle and refer to it as a journey allowed me to start looking ahead to two years of food sobriety, two years of a total lifestyle change and setting realistic attainable goals. I knew what I had to do; I have always known what to do and how to do it. It all came down to making choices that were affecting my entire existence and if I wanted to stay here, I had to STOP making THOSE choices and CHOOSE LIFE! I had to stop focusing on losing weight and start focusing on getting healthier, through getting fitter and trimmer. Those positive elements combined with the obvious outer transformation are a constant reminder that this fat girl is winning. 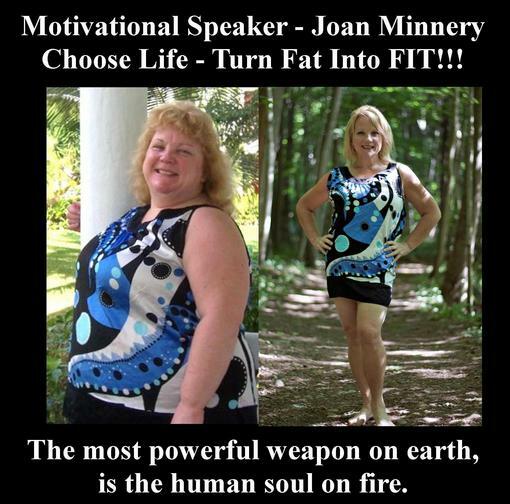 And as a result of my success…NOW I am inspiring others to do the same. I am back dancing, I am back performing, I am back acting, I am back teaching and I am back LIVING. I have reinvented myself and have totally transformed ALL of my life. I look and feel ALIVE and am the healthiest I have been in 20 years. My fitness regime includes teaching 6 Zumba classes per week and I continue to walk at least 7km per day. I now also bike ride about 10-15km every day and spend weekends hiking throughout Southern Ontario conquering many nature trails. I do SOME form of fitness EVERY day!!! As of the spring of 2013, I have walked over 10,000km. I’ve started up my own Weight Loss Support Group which helps people on their own healthy journeys and I’m delighted to be constantly out across North America doing Motivational Speaking about my Weight Loss Success coupled with Female Empowerment and Turning One’s Life Around. I am also working on my own weight loss autobiography entitled, “Walking My Way Back To Me”, which will lead me across Canada, the United States and beyond…very soon!!! And on a Love Me Tender addition to my life; I have FINALLY found my very special someone,Keith, whom I met within my Weight Loss Classes. We actually fell in love on the Dance Floor. I have looked my whole life for him and will spend the rest of my life looking at him!! !